A historic day for Parnells GFC as they saw a new Junior side take to the field for their first competitive game: historic as they were fielding a team of ‘home grown’ players who have learnt and played their football in London from an extremely young age. A very proud moment for the mentors and families of the club as the majority play their first adult game of football. No better way to start it with a win in the first round of the McArdle Cup beating Taras 3-07 to 0-2. A great team display and one the lads should be happy with at this stage. The pre-season training in terms of fitness showed as did the hunger for the game but what was evident was the need for match practice and ‘football on the field’ which will come as the season progresses. 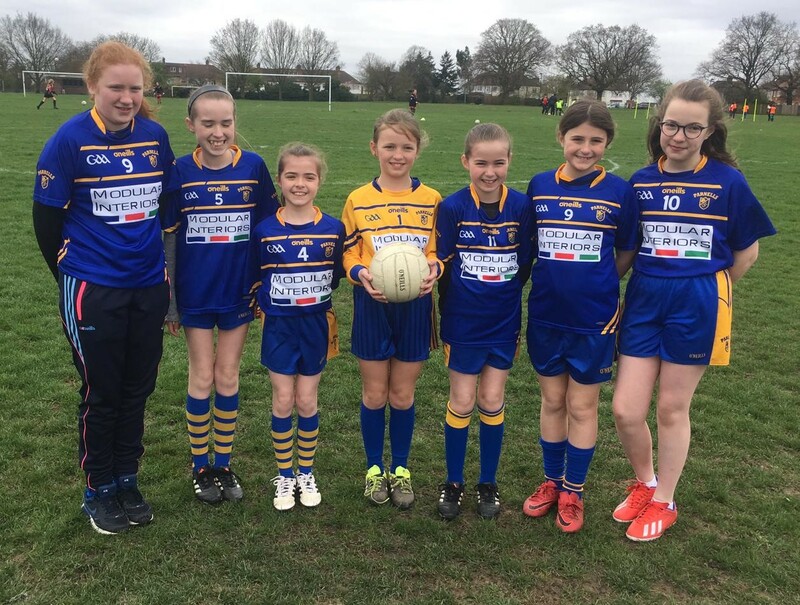 Winter training came to an end last week for the U8 – U13 girls and boys; the club would like to thanks everyone who came along and the parents for their commitment in getting there. We go outdoors at Harrow Rugby Club in early April. Date to be announced. However, training for U15 upwards, Junior and Senior team continues on a Thursday from 7-8pm at Preston Manor School. Contact Tony Griffin (07966 160999) or Dennis Diggins (07768 352680). New players welcome, see the recruitment poster in Pitch Talk. 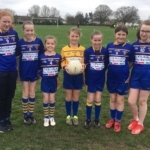 Well done to the U12 girls who played in the Chloe Cup in Greenford. 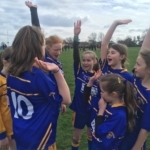 Their mentor on the day, Michael Healy was impressed with their great attitude and sportsmanship, playing with ‘heart and soul’ and improving with each game. The girls that togged out were Kitty Healy, Ruby Healy, Queenie Healy, Madi Cox, Ruby Ruddy, Lara O’Sullivan and Tilli-Ann Hussey. Thank you to the parents who also supported on the day. Equally impressive were the U17 boys who had their first outing of the season and played in the 9 a-side development league in a set of round robin games, securing victories in all three. They will be playing again on the 30th March. Many thanks to the parents and children who represented the club at the St Patrick’s Day parade in London. Please take the time to look at a few of the photos in the Gallery Section. A fun day and slightly warmer than last year! The club would like to pass on its condolences to Collette, on the passing of her father, Brendan Keavney who hailed from Mayo but lived in Ealing. 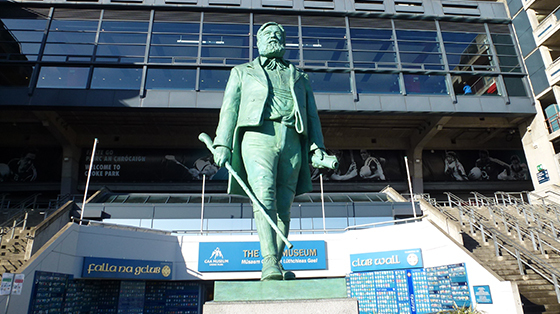 Brendan was grandfather to Lorcon, a player with the U11’s. May his soul rest in peace. Events: Parnells Dinner Dance 30th March @ The Claddagh Ring in Hendon, music by Barry Owen. Tickets £45 from Colin McGuinness (07779 340398). We will be launching our annual Race for Sam & Liam competition; always fun trying to predict provincial winners and All Ireland champions. Plus on the night presentation of some awards. Parnells Youth U13 Trip to Listowel will take place this May 24th-26th, contact Ollie Sheehy for information (07951 701206). The club are finalising arrangements for travel and the weekend.